LOS ANGELES -- The new Star Wars-themed parks at Disneyland and Walt Disney World will be opening in 2019, company CEO Bob Iger announced Tuesday. 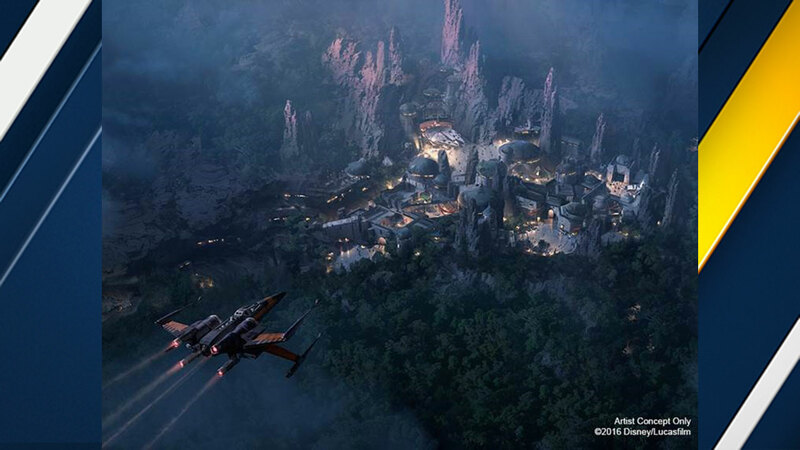 The 14-acre parks are designed to transport guests "to a never-before-seen planet - a remote trading port and one of the last stops before wild space - where Star Wars characters and their stories come to life," the company said. In one attraction, guests will be able to step aboard the Millennium Falcon, pilot it through space and fire the laser cannons. In another, they will find themselves in the middle of a battle between Empire stormtroopers and Resistance fighters. But before the Star Wars lands open, we'll see Pandora: World of Avatar opening at Disney World this May. The Walt Disney Company is the parent of ABC30.